First S-1 Filing for an ICO: Going Legit or Just a Crypto Head Fake? - Farrell Fritz, P.C. Initial coin offerings so far have gone through two major phases in their brief lifespan. The initial phase flew under the regulatory radar in an explosion of deals that raised billions of dollars seemingly overnight and without either registering the offerings with the SEC or complying with an exemption from registration. The ICO atmosphere changed drastically when the SEC issued its now famous DAO report in July 2017, which together with subsequent speeches, written statements and enforcement actions took the position that tokens will generally be considered securities whose offering would need either to be registered with the SEC or qualify for a registration exemption such as Regulation D. That led to a second phase of issuers launching bifurcated ICOs consisting first of a sale of SAFTs to accredited investors under Regulation D, followed by the public sale of fully function tokens that sponsors would argue are not securities. During the Senate’s February 6, 2018 committee hearing on cryptocurrencies, SEC Chairman Jay Clayton stressed the importance of disclosure for making informed decisions, but warned investors that no ICO had been registered with the SEC yet. 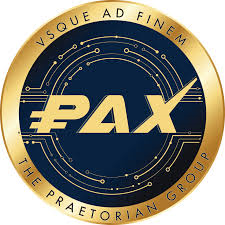 That all seemed to change a month later when a group calling itself The Praetorian Group filed with the SEC a registration statement on Form S-1 to publicly offer and sell its cryptocurrency called PAX. With that S-1 filing, might we be entering a third phase of SEC-registered ICOs? For the reasons covered in this post, probably not. The S-1 registration statement was filed by a company calling itself The Praetorian Group, and describes a dual business plan to be carried out in two phases. In the first phase, Praetorian will operate as a self-styled cryptocurrency real estate investment vehicle, or CREIV, through which it will purchase and upgrade residential and commercial real estate properties in lower income areas in New York, and then fund “outreach programs” to enrich the quality of life for the residents living in those properties. The second phase is projected to begin 12 months after the commencement of the first, and would involve the creation of a digital wallet that will convert cryptocurrencies (e.g., BTC, ETH, LTC, NEO, XLM) into local fiat currency and enable users to earn a reward in the form of PAX tokens for every purchase they make, which they can then spend, hold or sell. What’s Wrong with this S-1? The Praetorian S-1 is so deficient from a disclosure standpoint and so sloppy in its drafting that if the SEC bothered to review it, it may set some sort of record for number of comments in a comment letter. Not to get overly picky, but the sloppiness starts right on the facing page. For starters, the registrant designates “The Praetorian Group” as its “exact name … as specified in its charter”, leaving out the “Inc.” It provides that the approximate date of commencement of the proposed sale to the public is “upon SEC registration as a ‘security’”. Technically, issuers may only proceed with a public offering after their registration statement is declared effective by the SEC. Also, it appears Praetorian may have marked up the facing page from an old S-1 filing, as Praetorian’s facing page form is missing a reference to emerging growth companies (EGCs). The EGC facing page omission leads me to a more substantive observation, which is that a registrant more serious about its offering would arguably have availed itself of a JOBS Act feature that allows EGCs to submit an S-1 confidentially and undergo an initial review off the EDGAR radar screen. Why not file confidentially and clear up any disclosure and accounting issues before having to file publicly? On that score, it’s entirely possible that Praetorian isn’t even the first ICO to file an S-1, and may have been beaten in a race to the SEC by a confidential EGC filer we don’t even know about yet. Talk about an exercise in wishful thinking. Suffice it to say that I have never seen an issuer in a Securities Act registration statement attempt to disclaim liability for losses of any kind resulting from reliance on a prospectus. Federal securities law clearly allows a private plaintiff to recover damages for economic loss sustained as a result of an issuer’s material misstatements, omissions or fraud. Pretty interesting given that Praetorian actually states that it’s “mindful of the uncertainties associated with the [SEC]’s view as to whether or not an [ICO] would constitute a ‘security’ under applicable federal securities laws” and consequently that they “believe it is more prudent to register the offering with the SEC to avoid any unanticipated regulatory issues”. It’s as if Praetorian is under the view that a registration statement is a notice filing, rather than a disclosure document to be vetted in great detail in a review process involving typically multiple rounds of comments followed by responses and registration statement amendments, and where issuers may not proceed with selling until the SEC is satisfied that all mandated disclosures have been made and accounting and other issues resolved and the SEC has declared the registration statement effective. Either Praetorian believes it may only sell in the public offering to accredited investors (as is the case in a private offering exemption under Rule 506(c)), or it strangely thinks that only accredited investors (which by definition must have a minimum net worth or annual income) need to be encouraged to inform themselves of the risks associated with ICOs. Another glaring deficiency is the lack of risk factor disclosure. The only risk included in the section entitled “Risks and Uncertainties” is the risk that it may not be successful in achieving secondary market listings of the PAX token. Otherwise, the section simply consists of a conclusory statement that prospective purchasers of tokens should evaluate all risks and uncertainties associated with the company, the tokens, the token sale and the business plan prior to any purchase of tokens. Finally, Praetorian’s S-1 omits in totality all of the information required in Part II of S-1. This includes expenses of issuance and distribution, indemnification of directors and officers, recent sales of unregistered securities, exhibits, financial statement schedules and certain required undertakings. The Praetorian Guard was an elite unit of the Imperial Roman Army whose members served as personal bodyguards to the Roman emperors, sort of like the Roman equivalent of today’s Secret Service that protects the President. Although the ancient Praetorians continued to serve in that capacity for roughly three centuries, they became notable for their intrigue and interference in Roman politics, including overthrowing emperors and proclaiming successors. In the year 312, the Praetorian Guard was disbanded by Constantine the Great. Like its namesake, The Praetorian Group has generated a fair amount of intrigue with its S-1 filing, but I can only imagine that the great examiners of the SEC will take a page out of Constantine’s playbook and disband this Praetorian Group’s S-1 registration statement.